So here’s the deal. 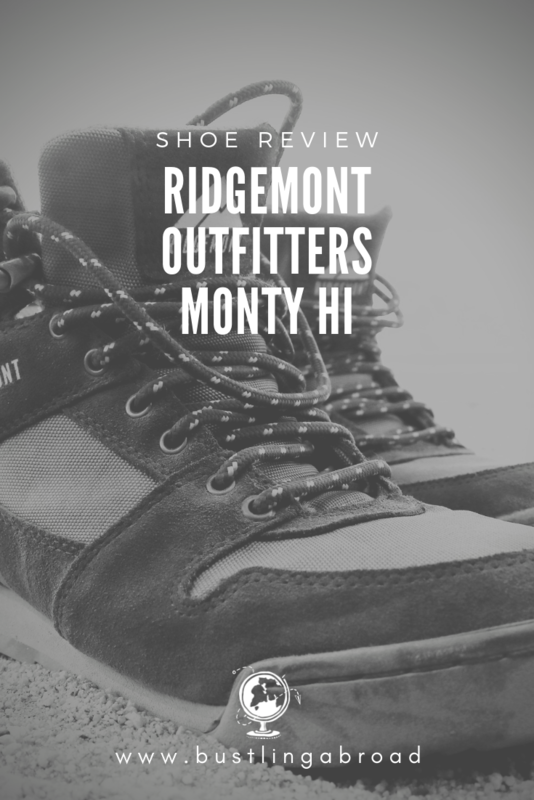 Ridgemont Outfitters provided me with a pair of Monty Hi boots in exchange for writing an honest review. I told them I would put the boots through the wringer before writing a review and over the past few months I’ve kept that promise, totally hammering these boots while looking for any weak spots. 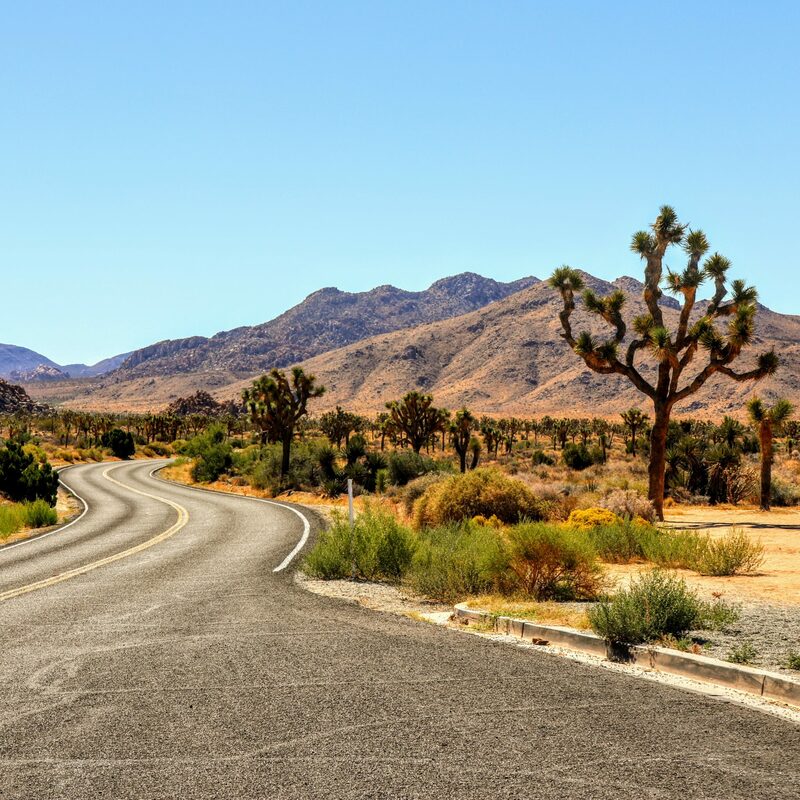 I’ve taken them down steep and slippery Tennessee mountainsides, climbed up the Great Smoky Mountains, traipsed through Lake Michigan sand dunes, hiked across the deserts of Joshua Tree National Park, and backpacked for miles along the California Coast and into the Sierra mountains. Through it all these boots have proven to be the perfect combination of lightweight durable construction, style, comfort, and functionality. 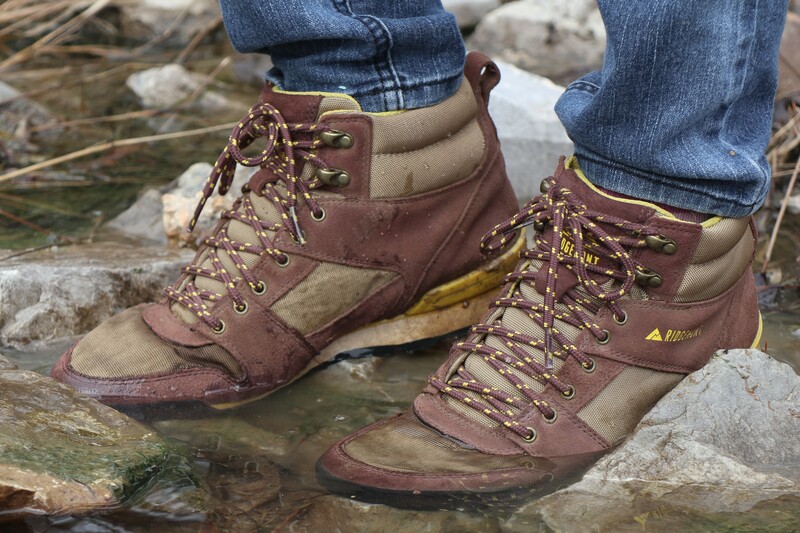 Without further ado, here’s why the Monty Hi boots have become my favorite hiking boots. 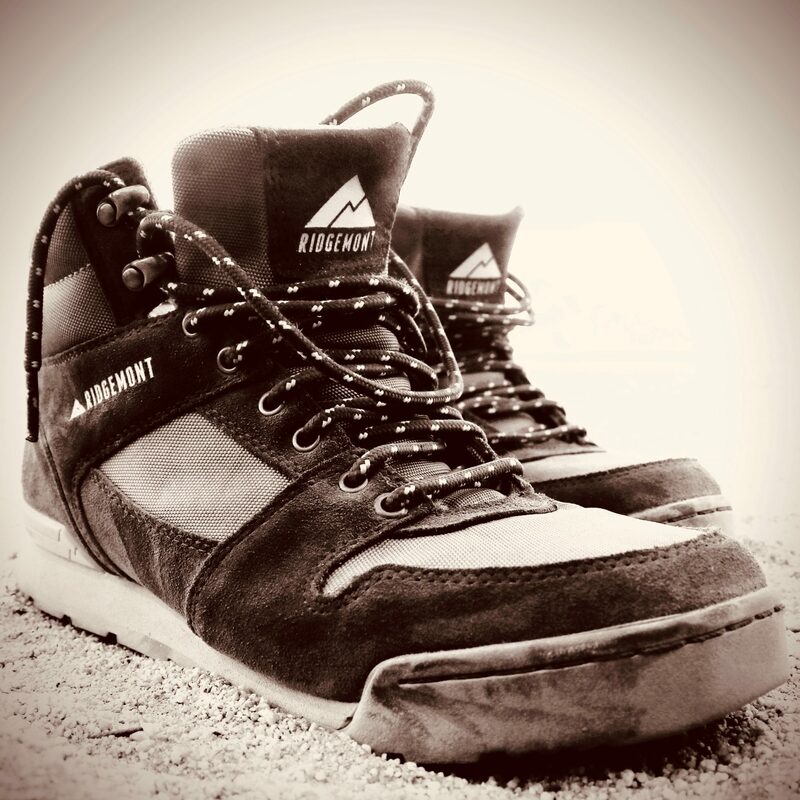 Stylish – This retro minimalist throwback design reminds me of my dad’s cool 1980’s hiking boots. Full Waterproof Option $109 (waxed leather and Sympatex waterproof & breathable liner). 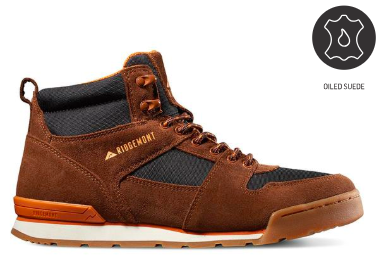 Water Repellant Option $89 (oiled suede and high grade nylon). Eva-Cush Insole – Minimal compression so they absorb impact. Vari-Flex Lasting Board – Flexible soles make it easier to navigate rough terrain. 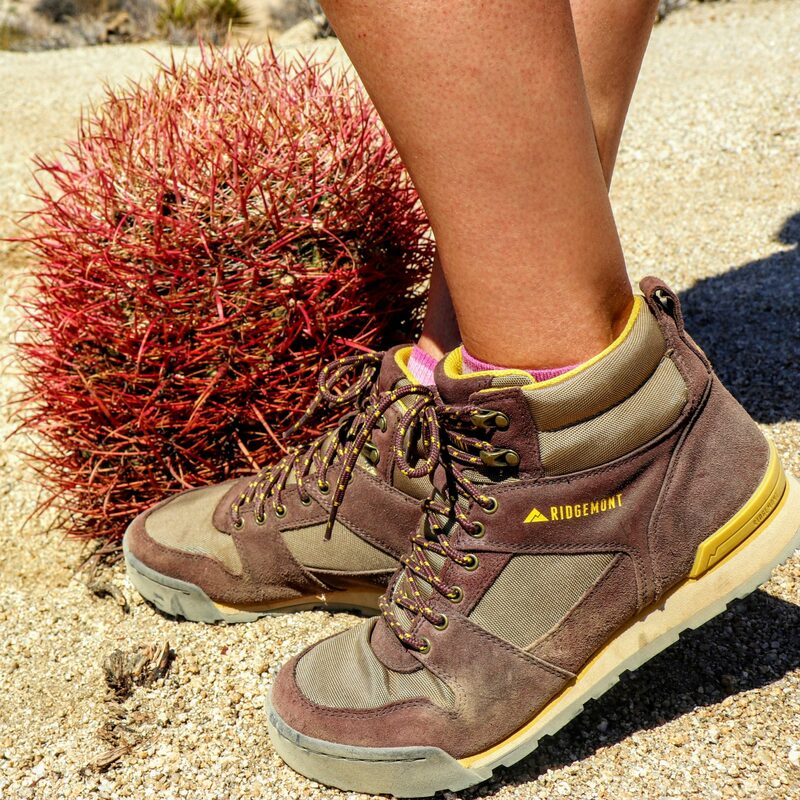 Gusseted Tongue – Smart construction keeps dirt, rocks, thorns, and leaves outside the boots. Lugged Outsole – This tread grips even wet surfaces. Although I’m no fashion blogger, let’s face it, I’m still a woman which means I don’t want hiking boots that make my feet look like I just joined the marine core, became a lumberjack, or am a long lost cousin of Big Foot. At first glance these streamlined classy boots reminded me of my dad’s slick 1980’s light hiking boots. The 80’s certainly got the light hiker design right but what’s up with all the neon colored shoes I’m seeing lately? Let’s follow Ridgemont’s lead here and leave them in the 1980’s where they belong. If turning heads is important to you do it without scaring the wildlife and choose one of Ridgemont’s classy earth toned color pallets! 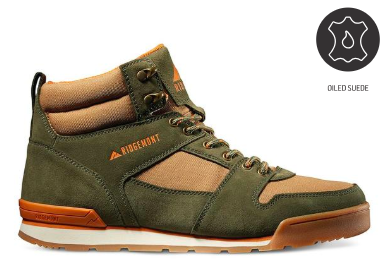 Not only do they look great, but the Monty Hi in no way sacrifices comfort or functionality for the sake of style. 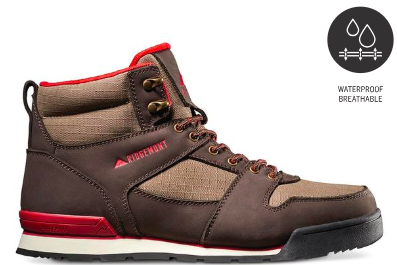 First off, these boots didn’t require the usual “break in period” that most hiking boots need. After backpacking for miles I had no rubbing, tender spots or blisters ANYWHERE. That alone is a huge plus, but that’s not all! Because the Monty Hi soles are open celled they will never compress more than 5%. They’e also antimicrobial and non-absorbing so they keep your feet stink free too! I did notice that after backpacking more than seven miles my heels felt sore and I wished there was more cushioning in the heels. However, this could have been due to my own lack of conditioning. Not only are these boots comfortable but their construction is rock solid. After all the miles of rough terrain I’ve put them through the tread, soles and suede show no wear, marks or scuffing. Sorry vegans but the Monty Hi boots are made of the best waterproof full grain 2mm thick European cow hide leather and abrasion resistant suede. However, my favorite thing about the Monty Hi construction is that although these boots are rock solid, the bottoms are not! They are extremely durable yet (unlike a rock), flexible. The Vari-Flex Lasting board makes the boot more flexible at the ball of the foot while more rigid from the arch to the heel allowing for much more maneuverability and an “at one with nature” experience. This has proven invaluable when hiking over rocks, logs, and steep terrain. 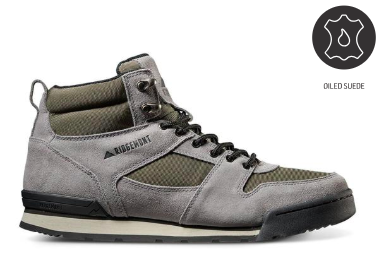 Ok, so even if a shoe is stylish, comfortable and durable, it still has to be functional or I’m still one unhappy hiker. For example, nothing gets under my skin like laces that come unlaced, little stones inside my boots, losing my grip on slippery surfaces, or wet feet. Call me high maintenance, but these are all annoyances that are just NO FUN! However, these boots are so functional you can’t help but have fun while wearing them! First off, the gusseted tongue on the Monty Hi boots is an indispensable feature. As someone who never stays on the beaten path I love being able to walk through sand, brush, briars and water while keeping my feet protected. Trust me, going off the path is always more fun! 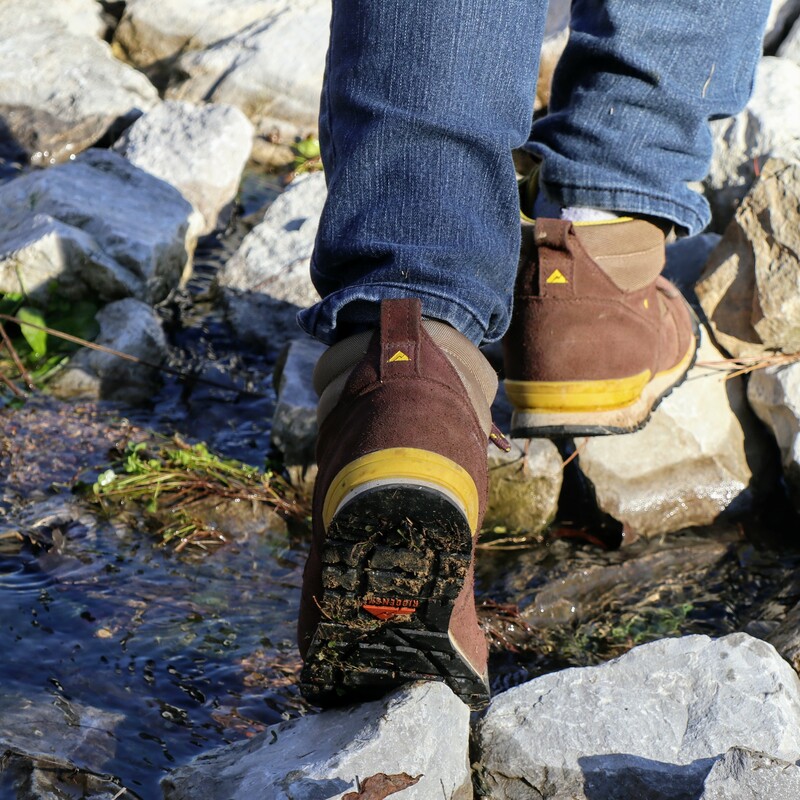 Whether scrambling down rocky paths or traipsing through sand dunes, my Monty Hi boots keep my feet completely debris free. Some of you may wonder how the Monty Hi boots compare to the Outback II shoes I recently reviewed. So here’s the scoop. 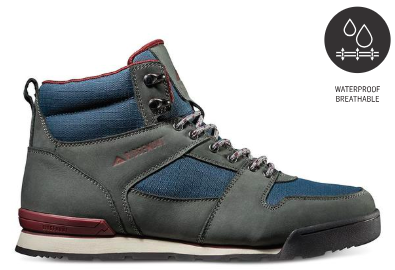 They are both excellent shoes but the Monty Hi boots have a more aggressive trail worthy lugged outsole. While recently hiking down a steep wet cliff (over lots of loose rocks and gravel) the tread on my Monty Hi boots kept me upright. The tread on my Outbacks has not handled slippery surfaces as well. 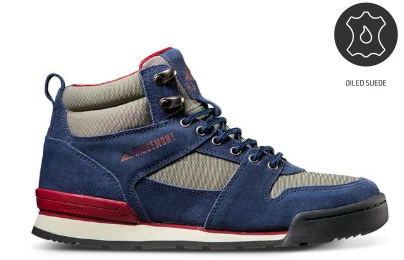 However, the Outback II shoes are a great universal travel shoe especially for urban adventures. I also wear them if I’ll be in rain because my boots are not the ones that have the Sympatex waterproof liner. That being said, I find that the oiled suede version of the Monty Hi boots works great for occasional stream crossings or muddy areas. That’s because the suede portion is treated with waxes and oils making the bottom portion of the boots waterproof. I stood in a shallow creek for a minute and no water seeped in as long as I kept the water below the nylon. Once I went into a deeper section of the creek I felt water seeping through the nylon. If you’ll be hiking in the snow or rain definitely go for the fully waterproof version that includes the Sympatex liner. Bottom line? 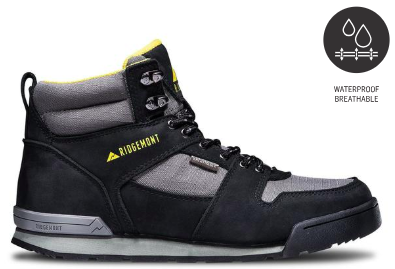 Ridgemont really deserves a round of applause creating a great boot that is durable, light weight, but also very functional. I’m also giving them a virtual high-five for paying attention to some of the smaller details. 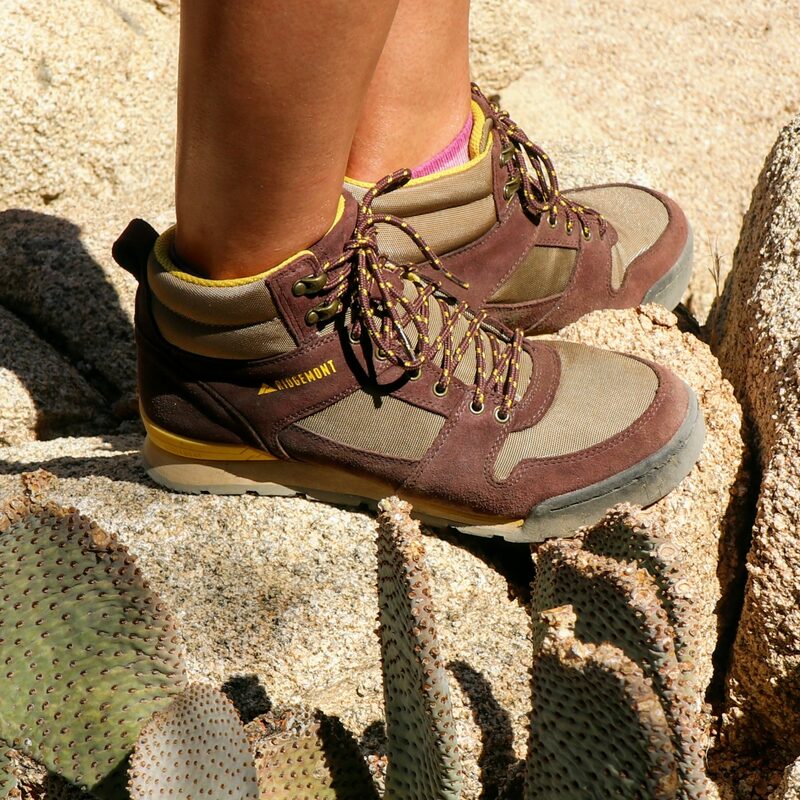 Most hiking boots have hooks or round metal loops at the top that easily come unlaced. However, these boots have a tight metal loop that allows me to easily loosen the laces without them coming undone. The convenience of not having to re-lace my boots every time I wear them is certainly appreciated! This option also keeps the laces nice and snug while hiking. They’ve also included a loop at the back of the boots that I use as a handle to help slip my heel in easier. Overall the Monty Hi surpassed my expectations and I’m looking forward to wearing them for many upcoming adventures. And the best part is that the Monty Hi boots are affordable! 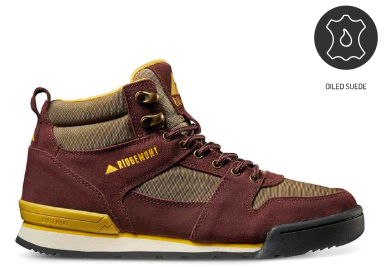 Ranging from $89-$109 the Monty Hi comes in nine attractive color schemes. You definitely get a lot of bang for your buck here with a shoe of superior quality, design, and style. 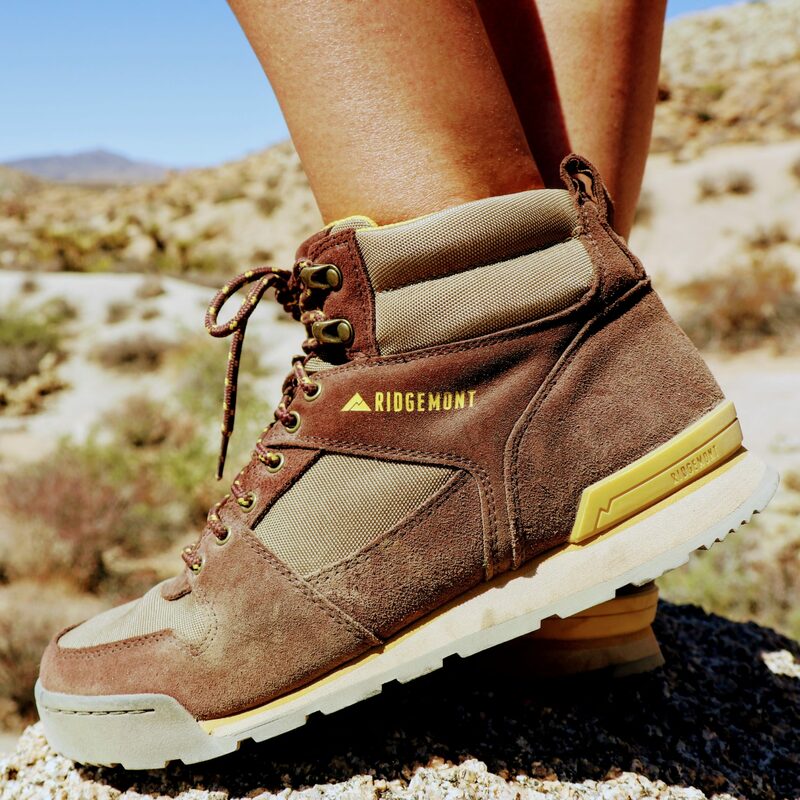 From lowland desert adventures to mountain top pursuits, these boots will make you one happy hiker! 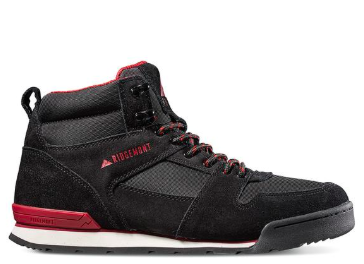 Suede and nylon version of this shoe is not water repellant so you’ll have to go with the leather option if you need a fully waterproof boot. Unfortunately the waterproof version currently only comes in three colors. Dirt sticks easier to the suede. Consider getting the leather option if this bothers you. Could use a bit more cushioning in the heel for longer hiking and backpacking trips. 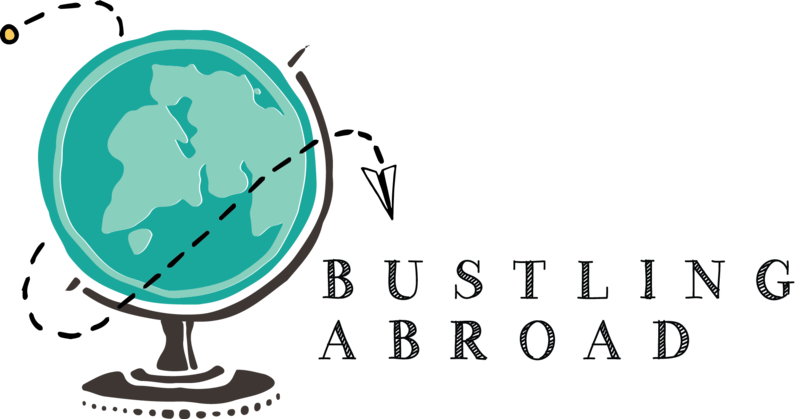 Bustling Abroad has partnered with Ridgemont Outfitters to offer you an exclusive discount on all Ridgemont merchandise. *CLICK HERE for 20% OFF or click on your favorite shoe design below (Discount will automatically apply at checkout). *Please note that the above link is an affiliate link, and at no additional cost to you, I will earn a small commission if you decide to make a purchase using this link. 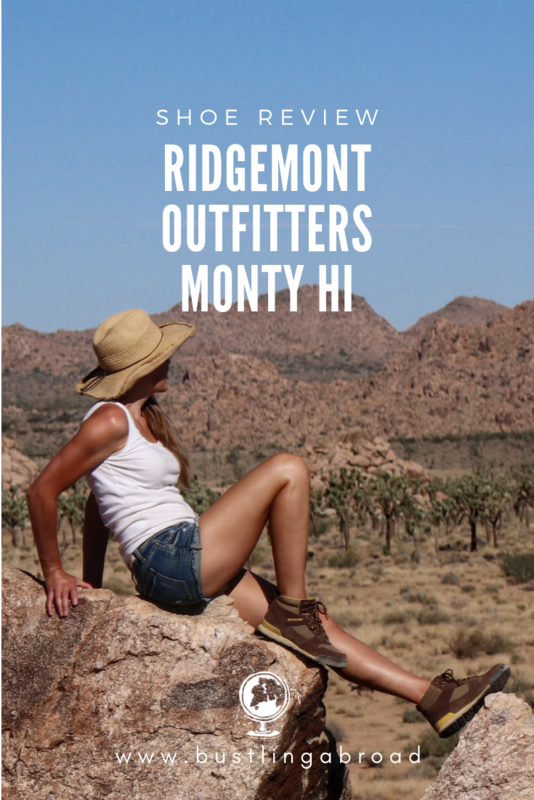 However, I recommend Ridgemont Outfitters because they make excellent products, not because of the small commissions I make. Thanks for your support!